Beautiful mountain views, including James Peak, this custom built ranch is nestled on a corner lot among Pine & Aspen trees with the sound of the river near-by. The home is located on just under 2 acres and includes 2 decks with views, open concept, lots of natural light from the Anderson Windows throughout the home, 6 exterior walls, 2 2-car attached garages each with a separate driveway, and a large workshop in the lower level with 220 electrical that would thrill any hobbyist (cars, woodworking, motorcycles as examples). 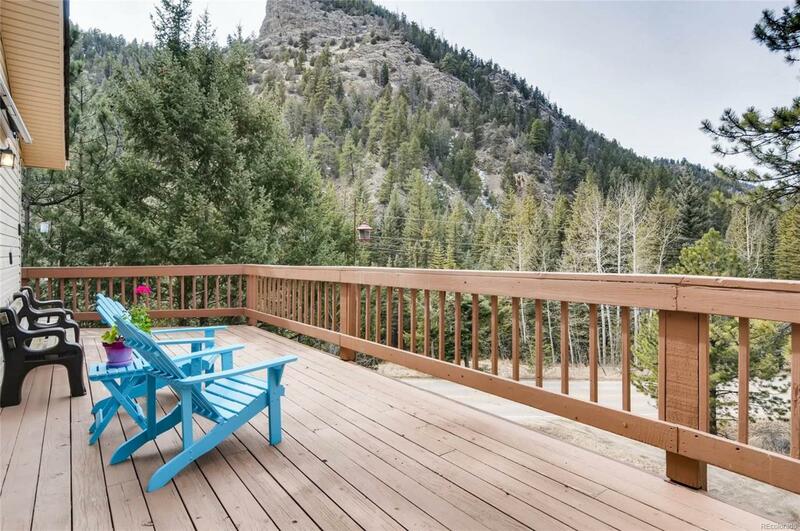 Located just 1 mile off I70 you have easy access to Denver or the ski resorts. The home is serviced with Xcel Energy.